leveraging technology to help you achieve your mission. 1) Facebook ads target the interests expressed by users in their profile details, the pages and groups they like, and updates they post on their Timeline (new job, new relationship, new baby, etc.). 1A Marketplace ad is an ad located in the right-hand sidebar of Facebook on desktop browsers (not available on mobile devices). Marketplace ads allow you to include a headline, body copy and image. 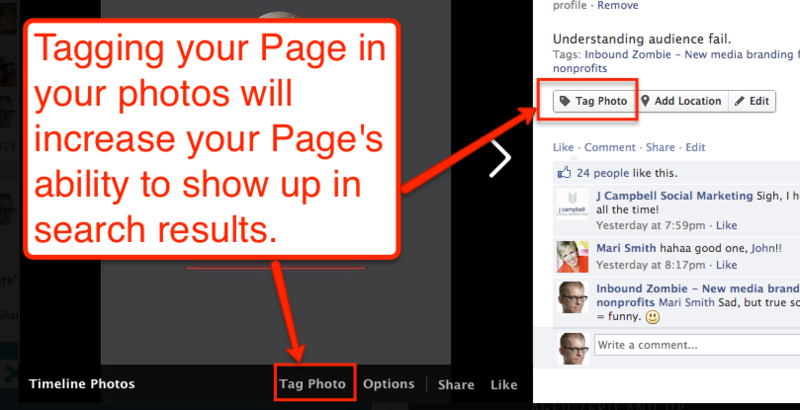 If you’re promoting a Facebook page, a call to action for liking the page appears below the ad. Marketplace ads can be targeted to any subset of Facebook users. 2A Sponsored Story is a story about a page, event or app that appears in the news feed (Web and mobile). The content for Sponsored Stories is derived from stories generated from people who talk about your page or RSVP to your event. For example, if you’re advertising an event, stories about people RSVPing to the event would appear as a Sponsored Story in the news feed. 3Page Post ads are posts from your Facebook page that you can promote to existing fans, friends of fans and even non-fans. These ads appear in the news feed and in the sidebar of Facebook (on the Web). 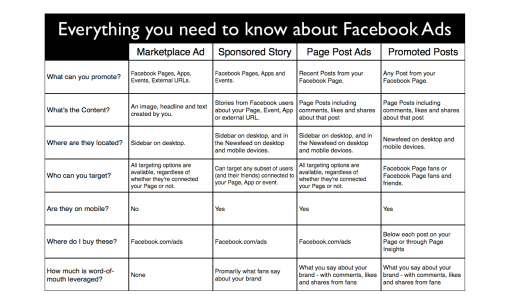 The main difference between Page Post ads and Sponsored Stories is that Page Post ads can be shown to anyone on Facebook, regardless of their connection to your page. 4Promoted Posts are Facebook’s answer to the novice marketer who may not have any experience using Facebook ads or those who just prefer to advertise in the simplest way possible. Promoted Posts are Facebook page updates that you can promote to existing fans or fans and their friends, simply by using the “Promote” feature located under every update on your Timeline. The other main difference is that you only pay for reach based on a flat rate for various different ranges of people. In many cases, Promoted Posts seem to have the highest click-through rate of all ad types. Before you spend any money on Facebook ads, you need to determine what your goals and objectives are. 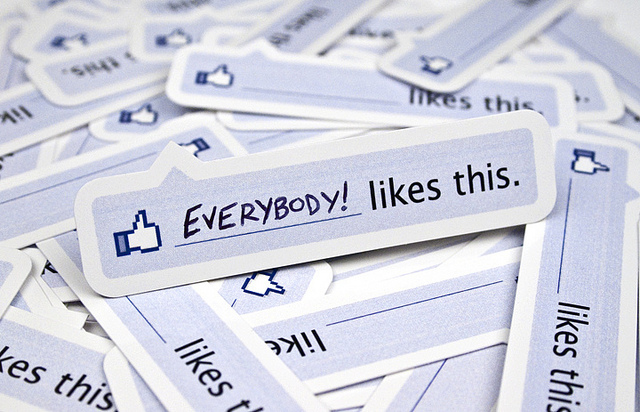 Do you want more Facebook page fans? Do you want more exposure for your page posts? How will you use ads to build your email list? Who are you trying to reach and what do you want them to do? Having very clear answers to these questions will help you spend your ad money wisely. 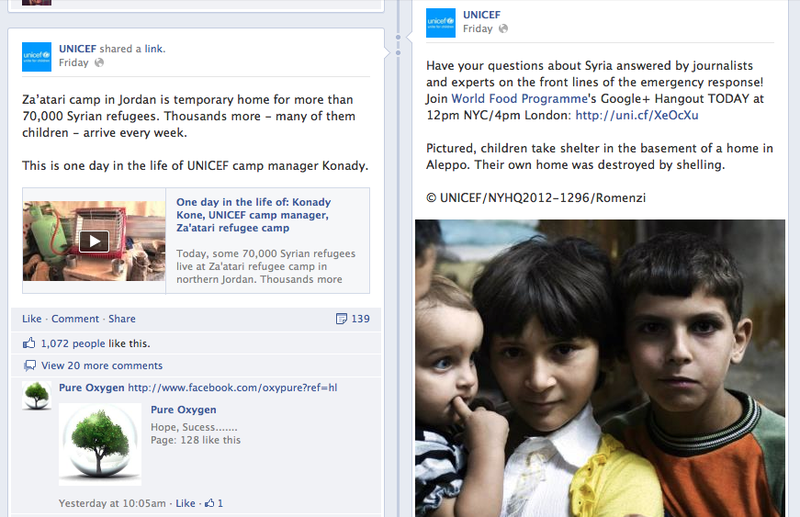 Which Facebook ads have you tried for your nonprofit? Did they work? This work is licensed under a Creative Commons Attribution-NonCommercial 3.0 Unported. Target audience: Nonprofits, cause organizations, foundations, NGOs, social enterprises, businesses, educators. Note: Socialbrite has created social media policies for a number of nonprofit clients. As nonprofits have increasingly turned to social media, policies to govern their use have become the new frontier. It can be difficult for organizations to find examples that fit their needs. A good social media policy will provide clear guidelines as to what staff should and shouldn’t do when posting and interacting with the community on a day-to-day basis, freeing them up to think more strategically. But what’s involved in creating one? A good social media campaign or engagement strategy can help your organization fulfill its mission, and there are many examples of nonprofits using these tools successfully for everything from fundraising and volunteer recruitment to building awareness. But there are also examples of organizations that have encountered pitfalls along the way to an effective social media presence. How do you avoid such a fate? By developing a policy that provides guidelines for how and when to use social media, you can save staff time, improve the effectiveness of your efforts, and limit the risk of other potential problems before they arise. What your policy covers, and to what to extent, will vary based on your particular needs, but the foundation is the same. Let’s look at the different components one at a time. What should your social media policy say and do? That’s going to depend on your organization’s particular needs. For some nonprofits, a policy should spell out what staff can and cannot do on different social media channels by creating strategically defined roles governed by hard-and-fast rules. For others, a policy is a vision statement that guides staff, but empowers them to make decisions for themselves. Which is right for your organization will depend on whether your day-to-day work includes legal risks, privacy concerns, or other potentially risky situations. Do you have lawyers sign off on all policy documents? Do they take the lead in drafting policy? If not, informal guidelines — or something in between — might be a better fit. Before you write the plan, think about who is going to follow the policy and whether it fits into a larger plan, like an employee handbook. Existing policies could influence your guidelines for social media, so give some thought to whether they need to match with regard to style. As an example of this, the International Federation of Red Cross and Red Crescent Societies, a global humanitarian organization, built its policy around its strengths—the volunteers who carry out the day-to-day work in the field. Many of those people have their own social media presences on Twitter or Facebook or blogs. The goal was to embrace the nature of volunteerism and empower people rather than restricting them. The organization could not guide what its volunteers said online, but it could ask them to think about what the organization would do and make suggestions. Similarly, your social media policy is your opportunity to guide staff toward a better fit you’re your organization’s brand and values presence on social media. Some guidelines should be broad — for example, encouraging people to add value and be passionate about what they say — while others may more specific, like requiring staff to use a disclaimer distinguishing their own personal views from those of the organization. The process of developing a social media policy gives you the opportunity to reflect on and organize your external voice and communication values. Think of your social media presence as an interactive extension of your organization. It’s often the first and easiest way for stakeholders to learn about you and comment on, share, and applaud your actions — and sometimes, criticize them. Start with your organization’s mission, and identify a short list of values central to the work you do. Examples might include friendliness, collaboration, integrity or sustainability. Defining your core values helps ensure that you incorporate them into your social media guidelines — for example, if “responsiveness” is a core value for your organization, it makes sense to focus on listening to what others are saying in your community and make it a priority to respond in a quick and informative manner. Who will be the person interacting with your community through social media? Who maintains the Twitter feed, and who posts to Facebook? Is it one person, or several? Who is responsible for finding content? Well-defined roles and responsibilities among staff will help to eliminate the ambiguity that can often come with social media content creation. Some staff may have great stories to tell, but don’t know how or if they should post them. Remember, social media works best when it is current, active and responsive — it’s easier to allow for that when everyone is clear about who can post, when and how often. It’s often easier to keep content organized if the social media strategy is owned by an individual or small group. Whether you’re posting about your organization’s work or events, or sharing interesting information related to your field, there are plenty of topics to post about. Use your policy to narrow your focus to fit with your core values or organizational goals. There’s a lot of content floating around the internet. By finding your niche and creating or sharing mission-related content, you’re more likely to draw people in and entice them to return, and more likely to find the right audience for your nonprofit. This is also the time to consider what types of content should never be posted, or posted only with approval. This can be as simple as maintaining a certain image for your organization, or as complex as protecting it from legal problems. For example, health-related nonprofits subject to the Health Information Portability and Accountability ACT (HIPAA) should make sure health records and information that might inadvertently identify patients or clients is protected. Other 501(c)3 organizations might be concerned with activities that could be considered lobbying as they could endanger the foundation’s nonprofit status. If your nonprofit is concerned with such issues, a conservative policy can make sure no one oversteps the bounds. A good policy that defines what can and can’t be posted can help prevent problems from arising. Social media is a two-way conversation so your policy should not just inform external communications—what your organization says, and how you say it — but how you deal with what people say to, and about, you. Creating and publishing content means it’s open to comments, both good and bad, and can be shared with other networks, often without your knowledge. How do you control your reputation and your brand? You could choose to disable comments on your Facebook page, but then you’d miss out on one of social media’s greatest benefits. Instead, develop a strategy for monitoring and responding to comments, both positive and negative. Who will respond? Will you do it public or take the discussion offline? Every comment is an opportunity to further craft your organization’s personality and reputation and build relationships. Responding thoughtfully can turn a bad situation into a positive “customer service” moment and publicly correct misinformation. A good way to develop a response policy is to practice with a series of hypothetical situations. How will you respond to posts that contain inaccurate information, vulgar or inflammatory language, or information that purposely or inadvertently identifies clients in a way that breaches their privacy? Answering hypothetical questions will prepare you for real ones. There are general guidelines to start with. If you receive a complaint you can turn into a customer service moment, or a post with misinformation in it, you should take the opportunity to respond. Determine who will do so, and what they will say. Consider removing comments that will damage your community or that include vulgar or inflammatory language. Some negative posts are better left unanswered, especially if a response is likely to incite the poster into further action. Don’t just reply to negative comments — be a part of the conversation and reply to positive or neutral comments to create a rich, informative environment for your audience. Answer questions that arise, invite others into the conversation, and thank people for participating. Your responses put a human quality to your content and can create a feeling of goodwill in your community. Let your organization’s core values and mission inform your response policy. In an era where sharing content is so easy, and even encouraged, privacy concerns seem to be often overlooked or ignored. Part of the problem lies with the tools — new privacy complaints about Facebook and Twitter seem to pop up all the time — but it’s important to review your organization’s privacy and permissions policies, especially if you work in areas like healthcare or children’s services. Start by examining your existing policies for relevant information. When can you use photos of children or names of clients, and do you need their permission? Update your policies and waiver forms to include the social media channels you plan to use — there’s a big difference between getting someone’s permission to use their photo on a brochure, and using that same photo in a blog post or on your Facebook page. Photos or videos posted on social media can be widely shared, and often will. Which approach is right for you? Again, this decision should be informed by your organization’s nature, and whether you’re concerned with legal issues or interested in being open. Remember, this is a two-way street — make sure you follow the rules and ask permission before reposting content you did not create, if necessary. It’s OK to link to something as long as you don’t pass the content off as your own, but do not assume anything you find online is free to repost. How can you craft your policy to ensure that you are respecting copyright restrictions? Social media lets you put a human face on your organization, making it easier to connect with constituents who, in turn, can become champions for your cause. In many cases, you want your social media presence to be as personal as possible. But you can run into problems when the line between the personal lives of your staff and your organization’s goals is blurred. What type of personal information can be posted to your organization’s social media channels? Do you only allow mission-related posts, or can staff express personal opinions or share information about major life events, such as weddings and birthdays? Defining the boundaries in advance can prevent inadvertent problems, but make sure your staff understands how the policy relates to their own, personal social media use. If they link to your organization’s page, or speak about the inner workings of your nonprofit on their personal pages, their audience might not distinguish their personal posts from your organization’s posts. There’s a fine line to walk here — you can’t enforce regulations for what staff do in their free time, but you can encourage them to adhere to organizational best practices and to represent your nonprofit’s culture and goals. The legal boundaries in this area are evolving almost as fast as the technology itself. If you have concerns about this aspect of your policy, it might be worth contacting your lawyer to make sure you define the risks and find the appropriate way to prevent them. Even if staff don’t self-identify as employees on their Twitter feeds or Facebook pages, in most cases, a good number of people still know where they work. To address that, your policy might train staff on the effective use of social media, and ask them to adopt strict privacy settings on personal pages. You might also encourage a “What would your mother think?” approach to posts. Each organization should decide whether it’s necessary to dictate how personal pages reflect upon the nonprofit as a whole, and make it clear to employees what that separation is. You can’t foresee or protect against all possibilities, but being proactive and thoughtful when creating a policy can help ensure that your organization gets the most benefit out of its social media efforts while avoiding many of the problems. The return on your efforts is likely to be worth the extra consideration. So how do you go about crafting an appropriate policy? Start by identifying your team, and make sure all the right stakeholder groups are represented. Ask and answer the questions identified here to help get the conversation started, but don’t hesitate to ask other questions specific to your organization’s work and goals. Your policy should ultimately fit your own use of social media, and your own needs. Target audience: Nonprofits, cause organizations, foundations, NGOs, social enterprises, businesses, Facebook administrators. If you’re like most busy nonprofit professionals, you make your best effort to have an organized content strategy on Facebook. Still, there are times when you get buried with other projects and simply have no idea what to post on your Facebook page. Here are 19 quick Facebook page post ideas that you can use right now to get your page buzzing. Ask a multiple-choice question related to a specific area of your cause. Begin the update with “Quick Poll” and then write the choices on separate lines (A, B, C). Cap that! Ask fans to caption a photo. Post an unusual photo (that has to do with your cause) and ask your Facebook fans to come up with a caption. Tell them that the best answer wins an Einstein award. Play the elephant game. Crop a small section from a photo, post it on your page and ask fans to guess what it is. For example, a dog shelter can post a picture of the dogs ear and ask fans to guess what breed the dog it is. Let Google Analytics help you. Post a picture from your one of your top viewed Web pages and post it with a comment or excerpt from the article. Let aliens abduct your page. The Alliance Theatre in Atlanta did a show that involved a tiny alien. In December they dressed it up as Santa and shared it on their page. Isn’t that Pinteresting? 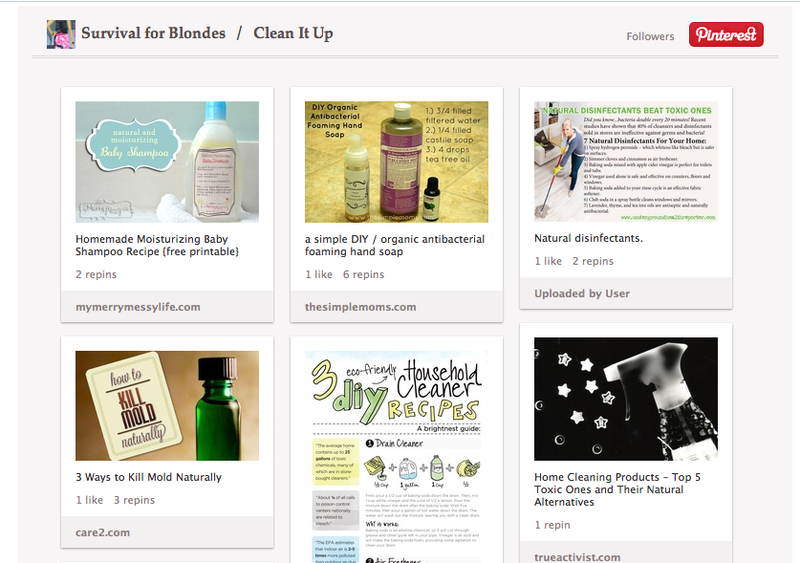 Post a picture from one of your Pinterest boards that’s received the most repins. For inspiration, see what Survival for Blondes does. Play and edge. 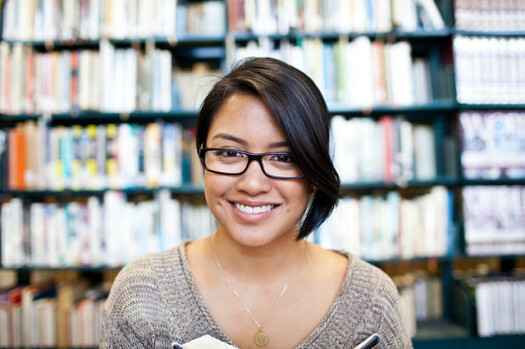 Ask a question about a topic where people have strong opinions one way or the other. For example, “Yes or No: Do you think we should ban assault rifles in the United States? Supporter love. Post a picture of one of your top volunteers in action and share something really great that he or she did recently. Let locals know that you care. If you notice a news article about a tragedy in a specific city, target an update to that location letting those fans know that your organization cares. Share a post from George Takei’s page. You won’t go wrong there, unless your organization leans more conservative. What the FAQ? Post the answer to the most common question you get asked at events. Ask your supporters for ideas. If you have an event coming up, ask your Facebook fans what they’d like to see to make it memorable, different and amazing. Share your work life. Snap a quick picture of a peculiar item in your office and share it on Facebook with a comment. Or take a picture of staff doing cool and interesting things. Share a post from a partner page. Your sponsors spend a lot of resources to support your nonprofit. Make a point of regularly promoting their agenda to your fans. Try conditional sharing. Post a compelling photo related your cause and ask people to share if they’ve been affected by the same issue. Learn from the best. Post a similar updates to one of the top ones from your competitors. Steal success. Oscar Wilde said, “talent borrows, genius steals.” An example Jeremy from The Dundee Hills Winegrowers Association shared is the someecards ecards site. If you see one that is already getting a ton of likes and shares, go ahead and post it as your own (with proper credit). 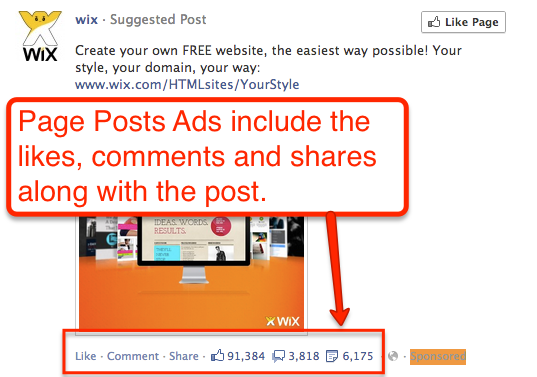 Bonus: Here are 16 ideas to get more comments on your Facebook page using text. 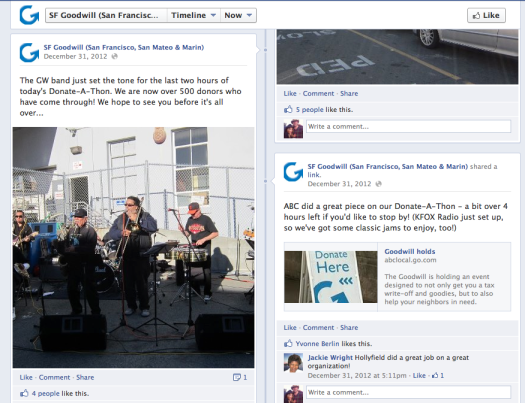 Do you have a creative example of a Facebook update that worked for your nonprofit’s Facebook page? Don’t be shy — share your example below! • Facebook tools and tutorials (Socialbrite)John Haydon delivers social web strategy solutions for “the quick, the smart, and the slightly manic.” Curious? Then connect up: Contact John by email, see his profile page, visit the John Haydon blog, follow him on Twitter and Google Plus or leave a comment. A scene from last year’s Wisdom 2.0 conference (Photo by Mari Smith). It’s the the dead of winter, but the conference season is heating up, with a number of conferences in the nonprofit/social change sector worth attending. I’ll be attending the Marin Nonprofit Forum on Valentine’s Day (awww) and following these events as well: Social Enterprise, Media That Matters, Wisdom 2.0, TED and the Nonprofit Communication Workshop. Are you attending any of these? 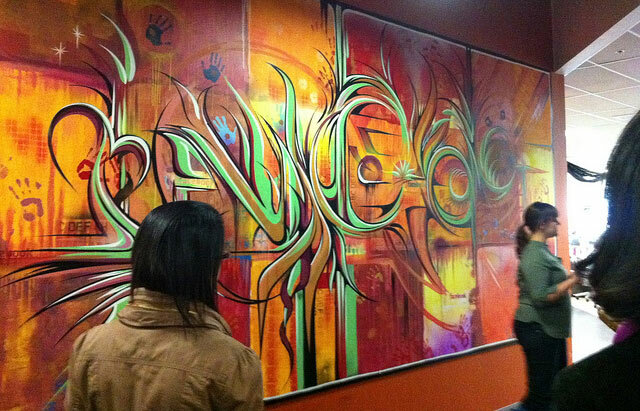 For the full year, see our Calendar of 2012 nonprofit and social change conferences. If you’re interested in social media, tech and marketing conferences, see this month’s calendar on our sister site, Socialmedia.biz. If you know of other events, please share by adding the info in the comments below. Hope to see you at one of these! Conference Date Place February Washington Nonprofit Conference Feb. 7-8 Washington, DC The Washington Nonprofit Conference is an annual two-day event where more than 800 fundraising and marketing professional in the nonprofit and commercial sectors gather to exchange innovative marketing and fundraising ideas, generate insightful solutions and think creatively. The conference hopes to offer a platform for improving public awareness and receptivity to direct and interactive market-driven philanthropy. Social Enterprise Feb. 9-10 Boston This year’s theme at the Social Enterprise conference at Harvard is Create. Connect. Commit. The gathering’s organizers hope to catalyze a forum to create, to enable individuals and organizations to connect and to inspire one another to commit. Marin Nonprofit Forum Feb. 14 San Rafael, Calif. The Center for Volunteer and Nonprofit Leadership in Marin brings together experts and practitioners for learning and reflection by convening the bi-annual Marin Nonprofit Conference and issue-based Forums. This year’s Nonprofit Forum will identify what we have in common and how we can tell that story in a way that builds partnerships with donors and clients. Media That Matters Feb. 15 Washington, DC Media That Matters (not to be confused with the long-running Media That Matters in B.C.) is an annual conference presented by the Center for Social Media at American University. It’s designed for established and aspiring filmmakers, nonprofit communications leaders, funders and students who want to learn and share cutting-edge practices to make their media matter. Strategic Co-Funding: A Grantmaker Convening Feb. 21 Washington, DC Grantmakers for Effective Organizations brings together a group of 150 grantmakers to explore different approaches to strategic co-funding. This daylong convening will offer participants opportunities to deepen their knowledge and advance their practice around key areas such as building trust; developing joint strategies, goals and common processes and more. Wisdom 2.0 Feb. 21-24 San Francisco Join Twitter co-founders Evan Williams and Biz Stone, Huffington Post founder Arianna Huffington, LinkedIn CEO Jeff Weiner, author Marianne Williamson and others at Wisdom 2.0, and explore the great challenge of our age: to not only live connected to one another through technology, but to do so in ways that are beneficial to our own well-being, effective in our work and useful to the world. This conference brings together people from the worlds of tech, business, spirituality, wellness and more. ACM: Computer Supported Cooperative Work Feb. 23-27 San Antonio, Texas CSCW is the premier venue for presenting research in the design and use of technologies that affect groups, organizations, communities and networks. Bringing together top researchers and practitioners from academia and industry in the area of social computing, CSCW 2013 will build on this strong history with venues including papers, workshops, panels, a Doctoral Colloquium and more. TED Feb. 25-Mar 1 Long Beach, Calif. The best moments at TED have often come from unexpected places. But this year, the organizers are pushing that to a new level, staging a global talent search to bring together the most remarkable lineup in TED’s history. This year’s theme: The Young. The Wise. The Undiscovered. TEDActive Feb.25-Mar 1 Palm Springs, Calif. TEDActive is a curated community of 700 curious and energetic leaders who share an immersive week of TEDTalks (mainly through video links) and surprising experiences designed to inspire conversation, exchange and immediate action around ideas worth spreading. TEDActive provides a journey through critical conversation, joyful exchange and deep thought. Nonprofit Communication Workshop Feb. 28 Bentonville, Ark. The Center for Nonprofit Communication at Drury University presents a one-day conference for nonprofit organizations, The Nonprofit Communication Workshop, that will provide nonprofit professionals with strategies for improving communication and creating stronger connections with donors, volunteers, businesses and the community. JD Lasica works with nonprofits, social change organizations and businesses on social media strategies. See his profile, visit his business blog, contact JD or follow him on Twitter or Google Plus. An editorial calendar, or content calendar — not to be confused with a messaging calendar. 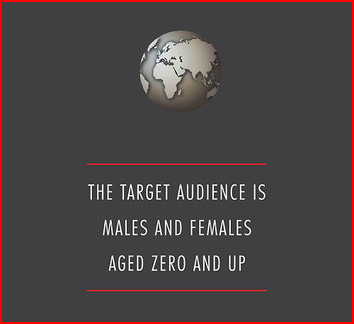 Target audience: Nonprofits, cause organizations, foundations, NGOs, social enterprises, businesses, general public. You can’t be blamed if you’re a little confused by recent discussions in the nonprofit world about the need to create a content calendar. Yes, it’s true, a meaningful strategy for your organization starts with planning. But what exactly is a content calendar? There are no hard and fast rules about this. But I thought it would be helpful to nonprofits and other organizations, which often survive day by day, to get granular about what exactly should go into these planning documents. Our former Socialbrite partner Debra Askanse wrote the other day about the need for planning and messaging to inform your nonprofit’s content creation, resulting in a content calendar. And another former Socialbrite partner, Beth Kanter, recently featured a blog post about the need for an editorial calendar. But what does this calendar look like? 1Call it a messaging calendar, planing calendar or events calendar — it doesn’t matter what term you use. And chances are your nonprofit may not be doing any of these, if the polls I conduct during my CharityHowTo webinars are a gauge. But let’s simplify things by calling it a messaging calendar. • internal events your nonprofit or your partners are planning, like your big spring fundraiser or that community job fair in the fall. Begin each year with a messaging calendar of major national and international events. Localize it with events your nonprofit is putting on or that are happening in your state, like Give to the Max Day. Then update it regularly throughout the year when you add new events or plan new campaigns. Use the calendar as a calendar (in Outlook, Google Calendar, etc. ), buttressed by an internal Word document spelling out what each department will be doing to support an internal campaign. And while your messaging calendar should live in marketing/communications, other departments should be able to contribute to this master planning document. It should also feed into your content calendar (see No. 2 below). Optionally, such a document can also be used to create a public events calendar or community calendar for your online community (eg., both MLK Day and your fundraiser), but it should not be used to publicly expose your internal planning (eg., all depts. will support a Back to School theme in our external communications for the month of August). 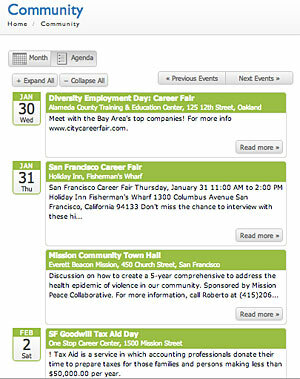 Here’s the external events calendar we created for SF Goodwill using a WordPress calendar plug-in. 2Your content or editorial calendar (see image at top) is not the same as the messaging calendar. Nonprofits need to create content to be relevant and to found on Google, and you need one person — call her an editor if you’d like — who’s in charge of a master content calendar for your organization. Such a document should list all the planned blog posts or new content your nonprofit is planning to run for the next several months on your blog, blogs or website. That, my friends, is your content calendar. It consists of a combination of external events and internal events fed from your messaging calendar as well as other story ideas contributed by your nonprofit’s employees or content partners. • notes that your team should know about. We recommend making it available on the intranet so folks can contribute story ideas to it. That, folks, is your real content calendar, not simply a listing of holidays or fundraisers. So: Your messaging calendar notes that Jan. 21, 2013, is MLK Jr. Day/National Day of Service. Your content calendar has someone down for writing a blog post on the importance of volunteerism — in advance of Jan. 21. As I said at the top, there’s no one right way to do this. So, be creative — do what works for you! How does your nonprofit handle planning? Do you have a planning calendar, a content calendar, a single integrated planning document or none of the above? Tell us in the comments!JD Lasica works with nonprofits, social change organizations and businesses on social media strategies. See his profile, visit his business blog, contact JD or follow him on Twitter or Google Plus. Target audience: Nonprofits, NGOs, cause organizations, social enterprises, businesses, Web publishers, bloggers, social media managers, anyone with a Facebook Page. 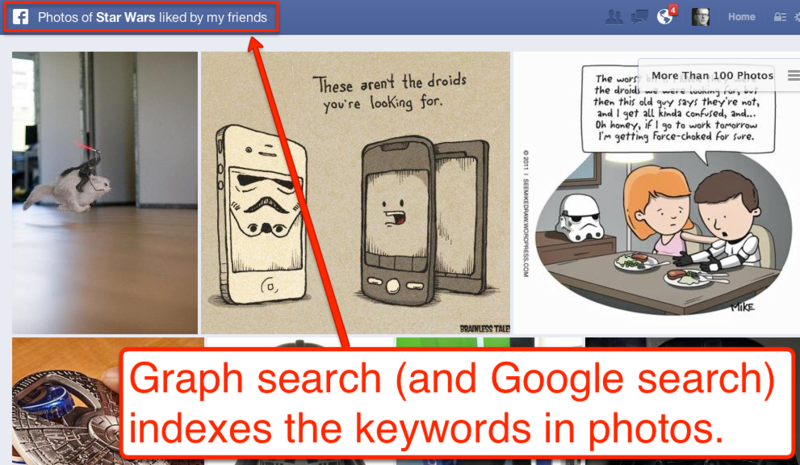 Facebook’s new Graph Search is very different from Google search. 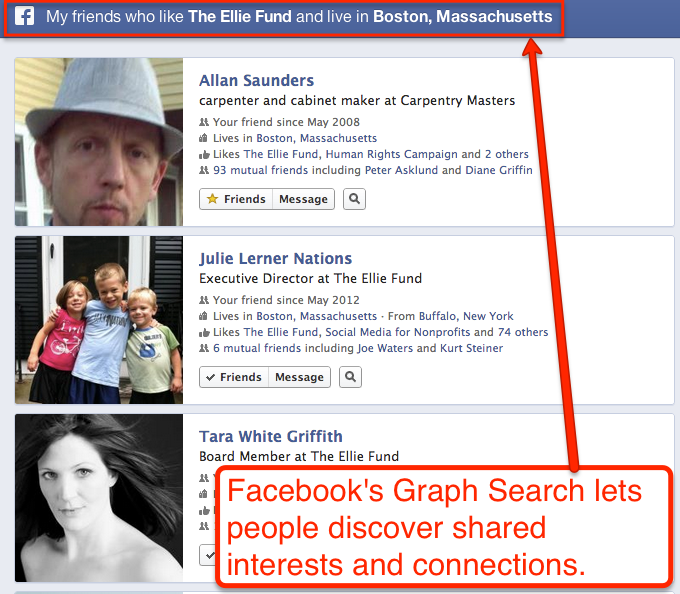 With Graph Search, you combine keyword searches with friends who’ve shared content on Facebook related to that search. Google has been indexing Facebook Pages for quite some time now, so Facebook Page SEO (search engine optimization) isn’t anything new. Both Google’s and Facebook’s search algorithms consider your page name, category, vanity URL and keywords within your About tab. What is new is the combination of keyword, category and connection (as shown in the examples above) – and the way Graph Search suggestions influence how searches are conducted. 1Make sure you’ve selected the best possible category for your page. You can edit your category by going into your Basic Information admin panel, as shown above. 2If you have a Facebook Place (local Place or Business), you can add up to three sub-categories. These can be added / updated within your Basic Information admin panel (as shown above). 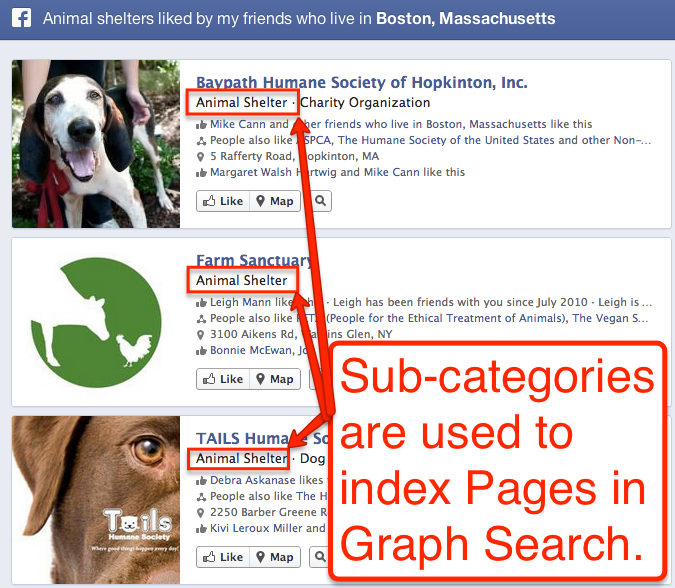 3Graph search will allow users to search for local nonprofits their friends like, so make sure your address is complete and current. 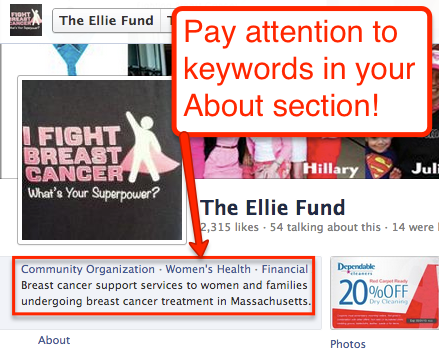 4The information you share in your About section will help people find your page in search. Particularly if you put keywords at the beginning of specific fields. Do not start off with, “We are a 501(c)3 organization…” People don’t search for 501(c)3 when they’re looking for services and resources for breast cancer patients. 5Photos are a primary content type displayed in Graph Search results. Make sure you tag each photo with your page name and any location associated with the photo. 6Devote a few seconds to filling in photo descriptions. For instance, guess which keywords are in the description of each photo this search result? 7If you haven’t done so already, create a custom URL (username) for your page that includes the name of your organization. For example, http://www.facebook.com/pages/Ashoka/66279444793 should be shortened to http://www.facebook.com/Ashoka. 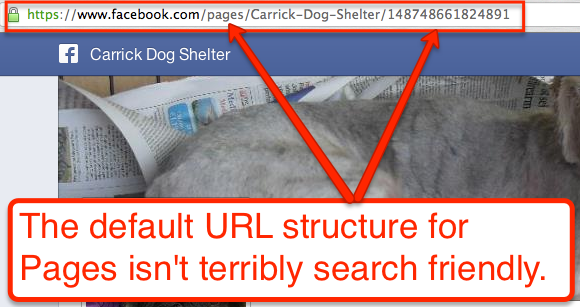 This will improve your SEO on both Facebook and Google. 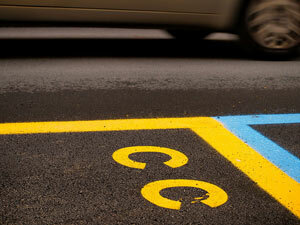 8Remember, like Google, Facebook wants to display the best results at the top of a search. And parsing out great content on Facebook has always been done by looking at how much people have talked about that specific photo, video or text update. Questions? Tips? Share them in the comments section below! People support your organization for one reason: They view your organization as the agent of change they seek. If they had the resources, they’d make the changes they desire by themselves. But they don’t, which is why you’re in their lives. So when you tell the story of your cause, you need to show how supporters ultimately create the outcomes. 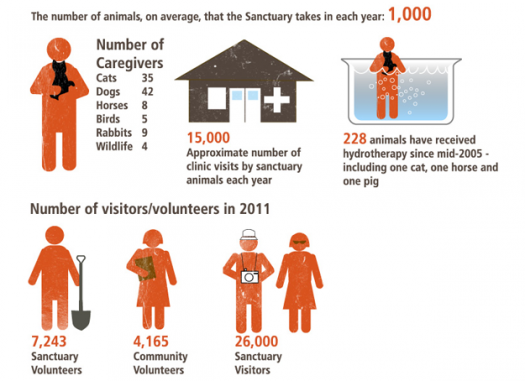 One powerful way to do this is with a set of infographics like the Best Friends Animal Society created. What’s really great about this infographic is that it’s broken down into five separate infographics, which makes the information even more digestible. Keep it simple. The information should be instantly understood through pictures and words. Make it easily shareable. Users should be able to share your infographic with one mouse click on Pinterest, Facebook and Twitter. If you use WordPress for your website, you’ll find a number of plug-ins that will add a sharing feature to images. Put it everywhere. Make sure you post your infographic on your Facebook page, your Pinterest board, and even Instagram. This allows people who call these places their home to easily see it. Promote it. Just because you build it doesn’t mean people will come. You need to have a marketing communications plan that uses your biggest assets, like your email list, to promotes the infographic. 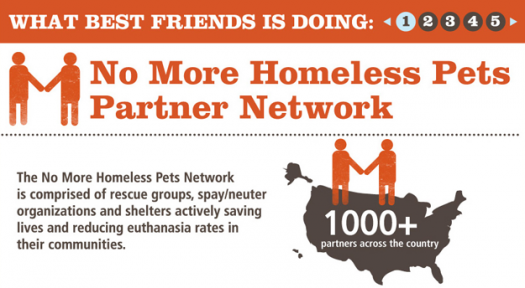 Have you seen an effective infographic about a cause? Let us know in the comments section below! So how do you edit photos when you’re not a designer and don’t have access to pricey programs like Adobe Photoshop or Aperture from Apple, and when you only occasionally need to edit images online? You’ll be happy to know that while Web-based photo-editing tools were once limited, now many websites provide basic editing options such as cropping and resizing. Some even offer advanced editing options such as layers. 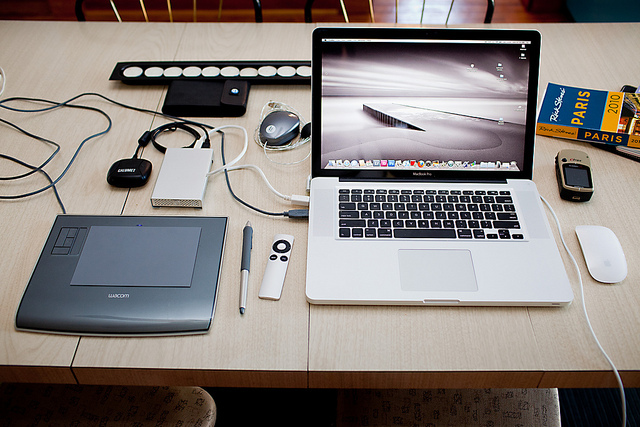 Plus, most of these tools are free and easy to use. Before we get to the photo editing tools, let’s touch on some basic things you need to know to change your images into wow-worthy creations. Image resolution describes the detail an image holds and refers to the number of dots, or pixels, in a linear inch of the image, measured in dots per inch (dpi) or pixels per inch (ppi). The browser extension Measureit! is useful for measuring the pixel width and height of any elements on a Web page. Most Internet images are 72 or 96 dpi (mostly depending on whether you’re a Mac or PC). However, dpi doesn’t apply to the Web (contrary to what most people say). Don’t worry about dpi or ppi for Internet images — image resolution has nothing to do with how an image appears on a screen — but you do need to be concerned with the pixel dimensions of your image. For example, on Facebook, the largest possible image size is 720 x 720 pixels. Print images should be at least 200 or 300 dpi. File size measures the size of a computer file, in kilobytes (KB) or megabytes (MB). Web photos should generally be no larger than 100KB. Saving photos as JPGs is preferred for digital images because it compresses while also maintaining picture quality. When editing online photos, the Chrome, Safari and Firefox extension Measureit! is useful for measuring the pixel width and height of any elements on a Web page. These are the best tools that we’ve found for editing images online. Know of others? Please add them in the comments below! 1Photoshop Express is good for simple edits. To use this Flash-based service (not to be confused with Photoshop Elements), sign up for a free account or test drive the service first. Then you can upload a photo (must be a JPG) from your computer. The layout is simple and grey, and you can edit fullscreen. Basic edits (crop, rotate, resize, auto correct, exposure, red eye, touch-up, saturation), advanced edits (white balance, highlight, dodge, burn, sharpen, soft focus), effects (crystallize, pixelate, hue, tint and others) and graphics (text, bubbles, frames and others) are available. Sharing to Facebook, Picasa, Flickr and others is easy. Photoshop Express apps exist for Android and Apple, too. Free. 2Pixlr is a more advanced, Flash-based editor, which offers most of the basic Photoshop functionality at no cost. You can even layer images on top of one another or use other effects to transform your photos. To use this tool, choose the express version or the advanced one. Both have fullscreen options. The basic editing tool, Pixlr Express, is simple and easy to use, with big buttons that allow you to make changes with one click. Make adjustments (crop, resize, auto fix, color splash, vibrance, white teeth, touch-up, airbrush and others), add effects (only a few), overlays (space, smoke, vignette and others), borders, stickers and text (only seven font options). The advanced editor, Pixlr Editor, is quite similar to Photoshop in layout, with areas including navigation, layers and history. Make adjustments (hue, levels, curves, exposure and others), add filters (sharpen, noise, halftone, tilt shift, blur and others) and create layers. A wand tool and a lasso tool are included, as well as a clone stamp tool, red eye reduction and others. Can save in a variety of formats: JPG, PNG, BMB, TIFF and PXD. 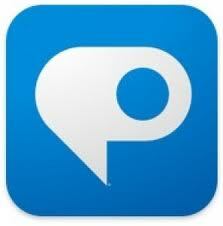 Pixlr also offers apps for Android and Apple. Free. 3Pixlr-o-matic is made by the same company as Pixlr and allows you to add filters (a la Instagram), overlays and borders. Images are saved as JPG. This Flash-based service is also has apps for Android and Apple and an Facebook app. And it can be installed as a Chrome Web app. Free. 4Splashup is an advanced Flash-based editor that allows you to open an image from your computer, Facebook, Flickr and others. Its layout is similar to Photoshop, with layers and filters (but not as many options as Pixlr). The interface is grey, with moveable boxes. Free. Multiple saving options: save as a JPG or PNG and choose photo quality. Also shows you photo size. 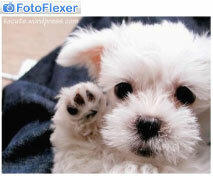 5FotoFlexer is an editor with basic and advanced options. It can edit fullscreen. Offers basic edits (auto fix, fix red eye, resize, flip and others), effects, decorations (text, draw and others), animations, beautify (fix blemishes, smooth wrinkles) and layers, with a layout that is easy to use, yet different than layers in Photoshop. Edit photos from Facebook, Picasa, your computer and other places, and share to a variety of social-networking sites and email when you’re done. Saves images as JPG or PNG. Free. 6Ribbet is a Flash-based editor built on the same platform as Picnik, which used to be a top online editing tool before it shut down. Most of the options are free, with some only available in Ribbet Premium. Currently, the premium version is free, but it will cost money in the future. Once you upload an image, the layout of interface is very simple and clean, with rounded buttons and colorful pictures. Allows for basic edits (crop, rotate, exposure and others), a large variety of effects, touchups (blemish fix, airbrush, sunless tan, mascara, lip color, cloning and others) and creative frames. Can edit images from websites using a Chrome bookmarklet. And saving to your computer, Flickr and Facebook is possible. Save images as PNG or JPG. May charge money for certain features in the future. 7PicMonkey is a well-designed image editor, with beautiful graphics and a clean layout. Some former Picnik engineers decided to create this tool, which is Flash based and offers basic edits (rotate, crop, sharpen, resize), effects (some good ones like the HDR one), touch-ups (blemish fix, teeth whiten, lip tint and other ones in the paid edition), text (with many font options), overlays, frames and textures. Many features are free, but for $4.99 a month, users get ad-free editing, 40 percent more effects, double the touch-up tools and more. 8LunaPic is an editing tool with a variety of animations, which could be good for Tumblr images. You can also easily share to social-networking sites, including Tumblr. Free. 9iPiccy is an online editor that offers basic and advanced edits, with the added ability to upload photos to a photo basket. Offers fullscreen editing, along with basic edits, many effects (pop art, HDR and others), touch-ups (blemish fixer, shine remover, wrinkle remover, hair color, clone tool and others), layers, paint tools, frames and textures. Can save as JPG or PNG. Free. 10Sumopaint is an online editor with a layout and menus similar to Photoshop. It has a free version with basic editing tools, a $9 version with 35+ more filters and tools and a $19 version with the 35 extra features, along with a desktop app for offline use. This Flash-based tool has a gray interface and layers. You can crop, rotate, use a magic wand or a lasso and many other tools. An iPad app is also available. Sumopaint also has a strong community of users at Sumo.fm, which allows users to share images and interact with one another. 11Citrify is a basic editing program that allows you to adjust (brightness, contrast, hue, saturation, resize, rotate, sharpen), touch up (airbrush, blemish, glare, red eye, toothbrush, wrinkle) and add a limited amount of effects and stickers. Saves images as PNG. Free. What other online photo editing tools do you use for your nonprofit? Lindsay Oberst is a freelance writer who writes about art, culture and topics that relate to social and environmental good. Follow her on Twitter at @LindsayOSocial for social good discussions or at @LindsayOWrite to chat about writing. If you’re not building your nonprofit’s email list (and increasing your open and click-though rates), you are missing out on a huge opportunity to retain and attract donors. 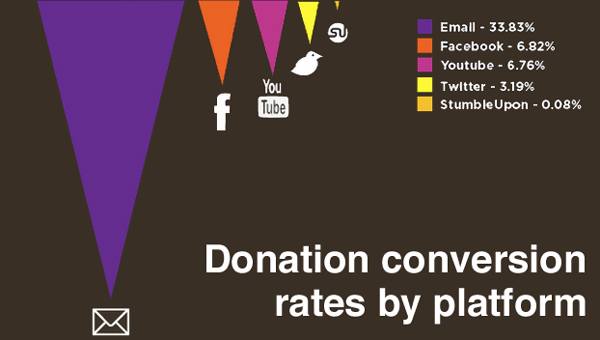 This is because people prefer to donate via email. A study by Razoo (see above) shows that email is the best way to optimize the transactional aspect of fundraising. Over the next few weeks here on Socialbrite, I’m going to outline exactly how to optimize all the various aspects of your email marketing. These articles will be based on my own work with nonprofits, as well as big data research. Subscribe to the series so you don’t miss out. To start with, let’s talk about nine simple ways to build your list. 1An obvious way to increase email subscribers is to make it easy for people to find your opt-in form! 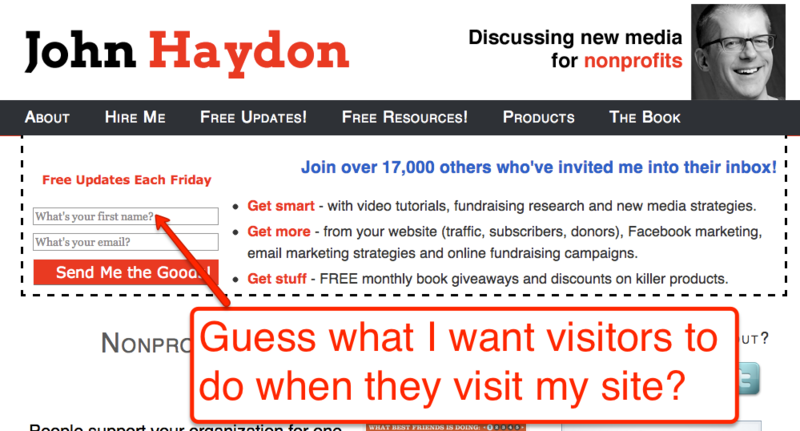 When I placed mine at the top of this page, the number of new email subscribers I acquired each week tripled. 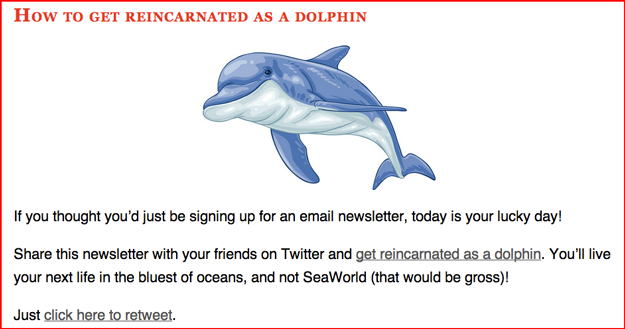 2The other thing you’ll notice about the email capture form above is that it tells people exactly what they’ll get. Make sure you tell them how often they’ll receive emails, andwhat day of the week they’ll receive them. Setting expectations up front like this will also lower your unsubscribe rates. 3The moment someone joins your email list is the best time to send an auto-reply letting them know exactly what they can expect going forward. This sets a positive tone to the relationship as well by sincerely thanking them for joining your email list. 4Because of the massively viral nature of Facebook, you should definitely put an email opt-in form on your Facebook page. In some cases, I’ve found that an opt-in form on a Facebook Page converts more effectively than a website. 5An easy way to increase email opt-in rates is to remove hurdles — hurdles like captcha forms and requiring more than a first name and an email to join your list. 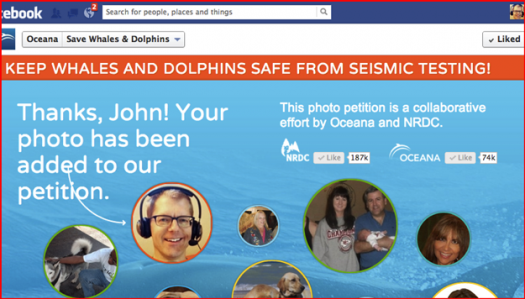 One thing Oceana recently did to make their opt-in process more frictionless was to use Facebook login. Using Facebook login meant that instead of filling out a name and email, all that was required was two mouse clicks. They also made it fun by incorporating profile pictures (as shown above). An easy way to do this is to offer subscriber-only content, like HubSpot does with their eBooks, or Best Friends Animal Society does with their action alerts. 7The moment someone subscribes to your email list is precisely the moment to encourage them to share your list with their friends. 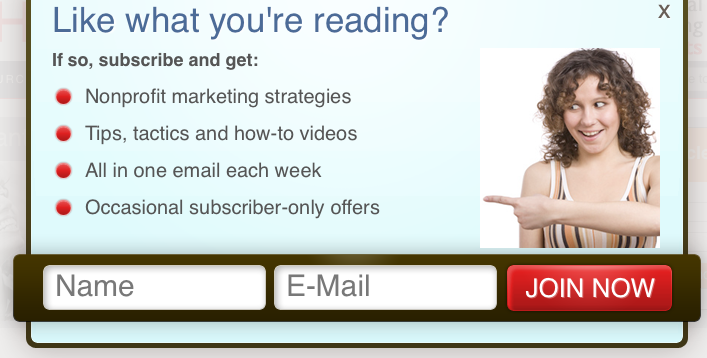 Above is a fun way I get new subscribers to retweet my email list (using Click to Tweet). 8If you’re like me, you hate pop-ups. They usually appear before you’ve experienced a site’s content or even when you’re still reading i!. A WordPress plug-in called Pippity solves these issues by giving you control over how and when a pop-up will appear. The sure way to building your list requires understanding what your subscribers really want – and consistently giving it to them. Serving up useful, awesome content not only attracts new subscribers – it keeps the ones you have. What other ideas do you have?John Haydon delivers social web strategy solutions for “the quick, the smart, and the slightly manic.” Curious? Then connect up: Contact John by email, see his profile page, visit the John Haydon blog, follow him on Twitter and Google Plus or leave a comment. There is an app for pretty much everything these days, whether you want help with yoga, looking at the stars, getting to sleep or maybe you just need to keep all your affairs in order. However, not every app is in it for the money. 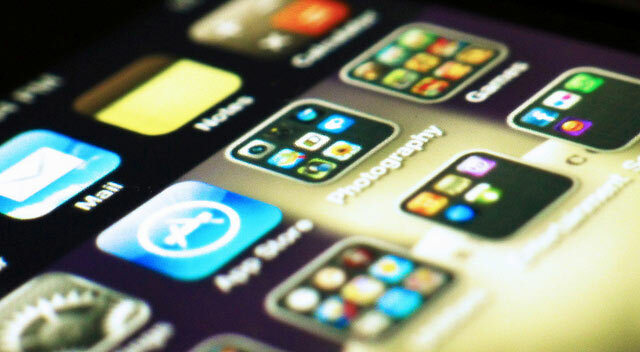 There are nonprofit apps out there that are worth more than a passing glance. With this in mind, we’ve put together a list of some of the best nonprofit apps available today. As the mobile app world becomes more ruthless — with Android and Apple vying for supremacy and Windows jumping into the fold — it’s refreshing to know that not everyone is in it for what they can get. If you’re currently shopping around for apps to install on your smartphone, iPad or tablet and are looking for some helpful apps to go with it, these are certainly worth a look. What are your favorite nonprofit apps? Please add them in the comments! Kerry Butters is a contributor for the popular consumer information site Broadband Genie in Great Britain, which covers everything from broadband to the best iPad contract deals. Follow her on Twitter at @kesbutters.